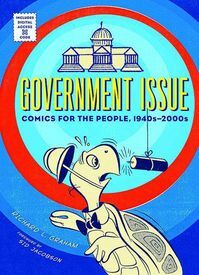 edited, compiled and annotated by Richard L Graham Government Issue Comics provides readers with a 300 page overview of over sixty years of government sponsored comics. The numerous and various branches of the US government managed, unsurprisingly, to recruit some of the top comics talent of its time, and in these pages you will find work by Will Eisner, Milton Caniff, Al Capp, Joe Kubert and Kurt Schaffenberger – and Charles Schulz, Walt Kelly, Chic Young and George McManus (and Al Wiseman! ), along with a host of anonymous unknowns, all working on behalf of educating their fellow citizens on a (very) wide array of issues. Richard Graham, an associate professor and media services librarian at the University of Nebraska has put together a broad survey of this massive but under-appreciated aspect of comics history. It is organized into four categories: military; economics and employment; civil defense, safety and health; and landscapes and lifestyles. Each of these sections begins with an introductory essay by Graham that puts the comics in context. Readers with Q-Code readers will, in theory, be able to access a large online archive of these comics by scanning the digital access code at the end of the book (or, go here and download PDF files of some of the complete comics and start reading now; just scroll down...). Yes, history can be fun! 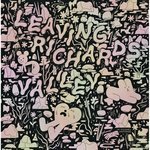 And now for less, as it is now on sale!